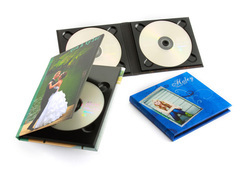 This how you will receive your final product from us on DVD. We try to keep the same theme and color throughout. 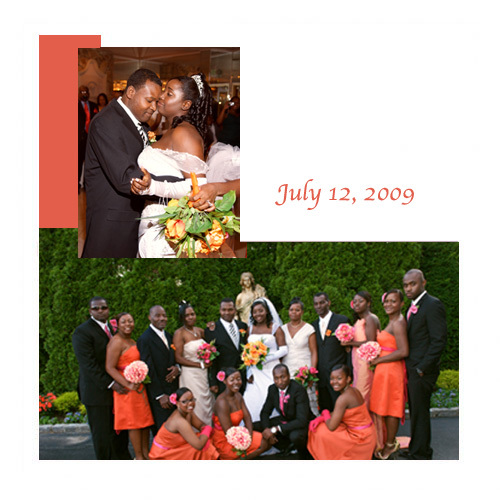 The Proof Book, Wedding, Video editing, the wedding album and Thank You cards have similar design and color based themes. 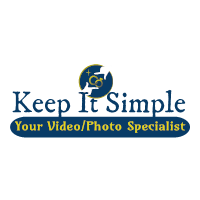 Images are individually color corrected and enhanced by a professional graphic designer for optimal viewing and printing quality. All album prices below include the design fee as well as the book, prints, binding and taxes. Email or Call (718)288-9120 for more information and option prices. 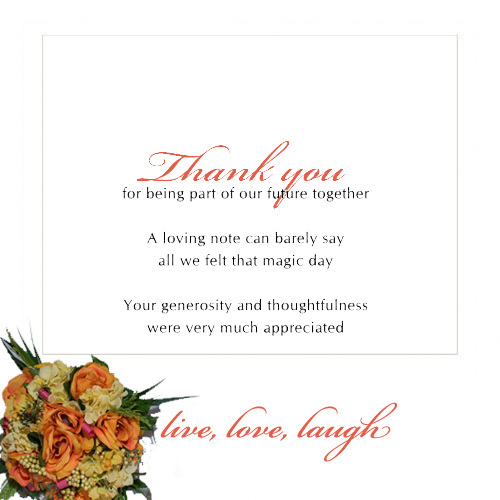 This is an actual sample of a custom thank you cards designed for a client. As you can see the theme of the bridesmaids' dresses is burgundy. We use this color as the background of the card . 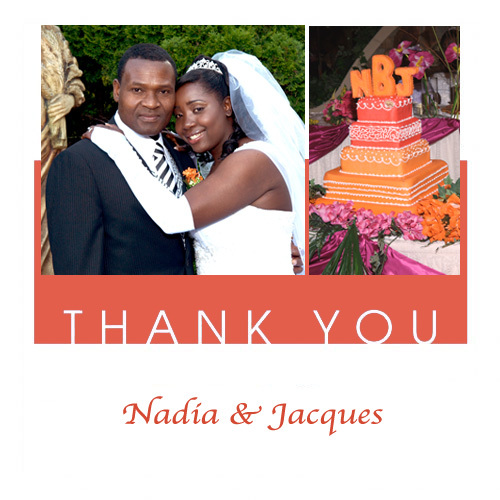 It's the personal touch that makes Thank You Cards or any cards special! 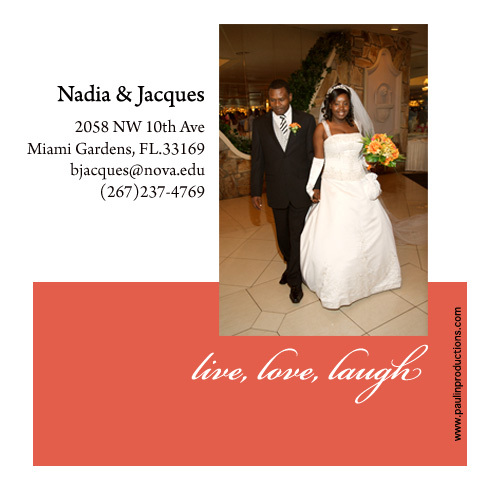 Upload your images so we can design or create a personalized thank you card for your guests, family or friends. Click on the image to view the larger version. We will design it, print it, frame it and ship it. Choose from an assortment of size options, as well as custom sizes upon request. Plus five distinct colors giving you as many options as possible. 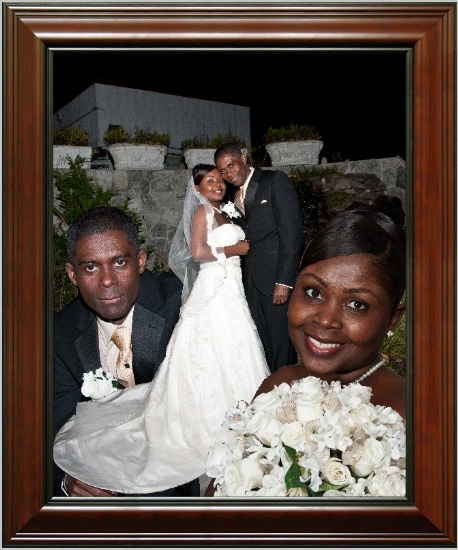 And FYI - All frames come with glass, and backing.